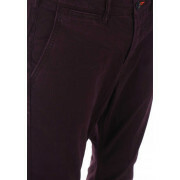 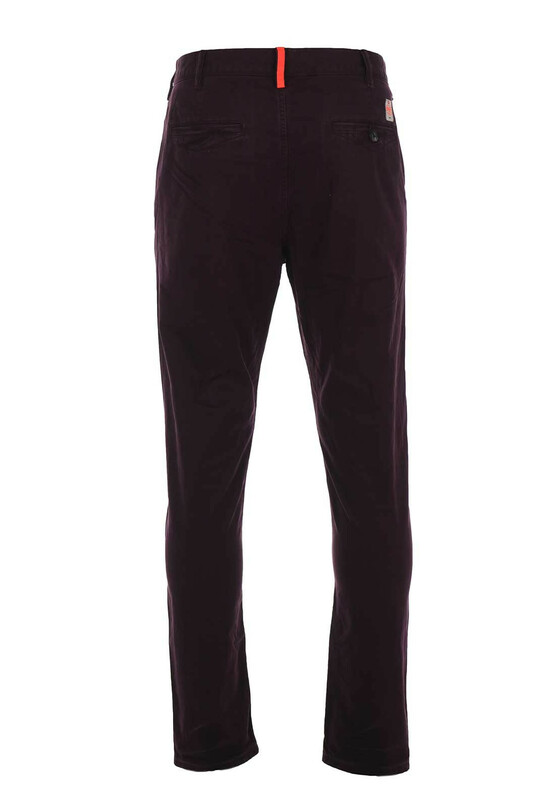 Presented in stylish wine, the Rookie chino trousers from Superdry are a great choice for everyday wear. 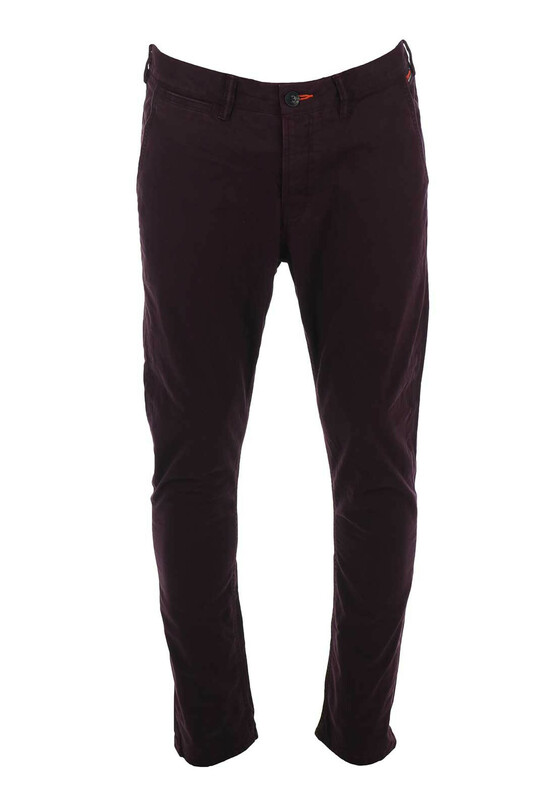 Complete the look with a hoody and canvas trainers. 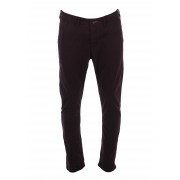 Designed with a classic straight leg and made from comfortable twill cotton. 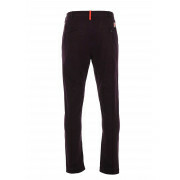 Other details include hip and rear pockets, a logo tab on the back and a button fly fastening.